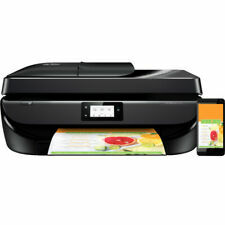 · HP OfficeJet Pro 6978 All-in-One Printer. · No CD FLYER. Set the pace for success with rapid print, scan, and copy speeds. Connect a smartphone or tablet directly to the printer and easily print without a network. The USB port allows you to print directly from a flash drive. The HP OfficeJet Pro 8610 has wireless capabilities so you can print from anywhere, including your tablet or smartphone. Model Officejet Pro 8610. HP ENVY Photo 7858 All-in-One. Print Resolution: 4800 x 1200 dpi. Optical Scan Resolution: 1200 dpi. Print Resolution 4800 x 1200 dpi. Optical Scan Resolution 1200 dpi. Type InkJet Printer. Technology HP Thermal Inkjet. Designed to fit tight spaces and budgets, this printer is simple to set up and use right out of the box. Count on high-quality prints while also conserving energy with a printer that’s ENERGY STAR® certified. Set the pace for success with rapid print, scan, and copy speeds. Remote printing requires an Internet connection to an HP web-connected printer. Not available in all countries. Dynamic security enabled printer. ISO yield based on continuous printing in default mode. Dynamic security enabled printer. Not available in all countries. Print speed ISO: Up to 22 ppm (black), Up to 18 ppm (color). Print speed, color (ISO, laser comparable). Based on internal HP testing. Average timing estimate based on plugged-in printer and downloaded HP Smart app. Performance varies depending on user network connection and other factors. Dynamic security enabled printer. HP DeskJet 2655 All-in-One Printer. HP 65 Setup Black Ink, HP 65 Setup Tri-Color Ink. Built-in Wireless. Built-in Wireless LAN (802.11n). Energy Star certified. Optical: Auto-enlarge. Scan Settings Black: Up to 6 cpm, Color: Up to 3 cpm; Resolution: up to 600 x 300 black or color (text and graphics). Actual yield varies considerably based on content of printed pages and other factors. Printer page yield. Fax transmission speed. Speed dials, maximum number. HP ePrint; Apple AirPrint™; Mopria™-certified; Wireless Direct Printing. Sealed ink cartridges included! Ships today! App download required for printer setup. Wireless operations are compatible with 2.4 GHz operations only. Remote printing requires an Internet connection to an HP web-connected printer. Check with service provider for coverage and availability in your area. HP ENVY Photo 5055 All-in-One Inkjet Printer. Easily print from a variety of smartphones and tablets. Dynamic security enabled printer. Print scan, and copy with fast speeds, and keep tasks moving. Factory Sealed. Complete with New Inks. HP OfficeJet 6000 Standard Inkjet PrinterCB051A B1H. compatible toner/inkHP 920 (CD971AN#140); HP 920 (CH634AN#140); HP 920 (CH635AN#140); HP 920 (CH636AN#140). cable included no. -New in Box-. eco-label/standardENERGY STAR. HP OfficeJet 3830 All-in-One Printer. Main functions of this HP color inkjet compact printer: copy, scan, wireless printing, AirPrint, Instant Ink ready so you'll never run out of ink, and more. Phone cord. The Officejet 250 prints in black and white or color and can print up to 18 pages per minute on draft speed. Features Scanner, Copier, Printer. Printer Type All-In-One Printer. Supported Printing Sizes A4 (210 x 297 mm), A6 (105 x 148 mm), B5 (176 x 250 mm), A5 (148 x 210 mm). NewHP PageWide Pro 477dw D3Q20A Wireless Multifunction Inkjet Printer, 40 ppm Black/Color, 2400x1200 dpi Color, 550 Sheet Standard Input Tray, Wi-Fi Direct and NFC Touch-to-Print - Print, Copy, Scan, Fax. HP OfficeJet Pro 8720 Wireless All-In-One Printer. Shipped with USPS Priority Mail. Does not come with ink. Prints excellent photos on photo paper. General paper handling is provided by a 225-sheet input tray, which will work with most paper types. Along with all of these basic features, the 6968 features built-in Wi-Fi and Ethernet connectivity for both wireless and wired networking options. HP OfficeJet Pro 8710. Wireless | Print | Fax | Scan | Copy. 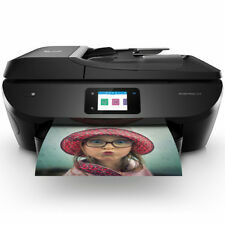 Also can print with HP ePrint, Apple AirPrint, Mopria, and Wireless Direct. Connects via USB 2.0, Ethernet, or Wireless 802.11b/g/n. Compatible with HP Instant Ink subscription service. Built-in WiFi, Airprint. DJ2655 All-in-One Compact Printer. Dynamic security enabled printer. HP 65 Setup Black Ink, HP 65 Setup Tri-Color Ink. User Guide. Ink Compatibility : HP 65 Series. Copier Settings: Black: Up to 6 cpm, Color: Up to 3 cpm; Resolution: up to 600 x 300 black or color (text and graphics). Wireless printing: Print and share with notebooks or PCs on an existing wireless network, using the freedom of built-in wireless. - AirPrint: Print from your Apple iPad, iPhone and iPod touch to your HP printer. HP DeskJet 3755 All-in-One Printer. What's in the box. Fullytested and functional test print page will be included. HP OfficeJet 5258 All-in-One Printer. Compact and wireless, this printer is designed to fit your space and life and save you up to 50% on ink with HP Instant Ink. Max Print Resolution: 4800 x 1200 dpi. HP Deskjet F4480 All-In-One Inkjet Printer. Condition is Used. Shipped with USPS Priority Mail. From the manufacturer --------------------- ! [affordable photos versatile performance home colorful phone creative project family documents] (https://m.media-amazon.com/images/S/aplus-media/vc/378bce6d-9c54-4e8a-b067-b766e4fe8727._CR0,0,1464,600_PT0_SX1464__. Easily connect this e-all-in-one to your local network and the Internet, wirelessly—right from your PC. Start printing quickly with easy setup from your smartphone, tablet, or PC. This HP Printer is compatible with Windows 10 (printer driver update may be required). NEW sealed ink cartridges included in Brown Box. Copier can enlarge and reduce photos. Ability to print, copy, and scan with one device. Inks, CD and manual are not included. I will do my best to match any price. great experience on their minds after all said and done. HP ENVY 5540 Wireless All-in-One Printer (K7C85A). Let your creativity soar while keeping printing costs low. This HP Printer has been professionally refurbished and tested by a Certified Technician. The HP DeskJet 2652 is an all-in-one printer that can print, scan and copy. You will be able to setup the printer device using the smartphone and print directly. 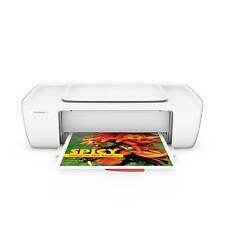 Learn more about its features in the below HP DeskJet 2652 All-in-One Printer Review. HP Photosmart Premium e-All-In-One Printer C310A. print scan copy web. superior photo and web printing with a touch. but I will include brown paper wrap around this box. 4.5 out of 5 stars - Hp Photosmart C6280 All-in-one Printer, with manual and CD Nice!!!!! 46 product ratings46 product ratings - Hp Photosmart C6280 All-in-one Printer, with manual and CD Nice!!!!! HP Officejet 4630 e-All-in-One Printer (B4L03A#B1H). Empower your busy household to accomplish more. This HP Printer has been professionally refurbished and tested by a Certified Technician. ( NO INK ). 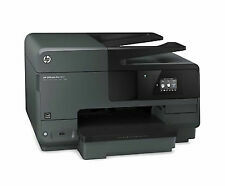 HP OfficeJet 250 Mobile All-in-One Printer CZ992A Brand NEW! Fast Free Shipping!